The conception of digital money has been here since the 1990’s. However, throughout these years, the notion has become more clear and practically available for the world. As for now, several businesses have begun adopting this easy and safe mode of the cash transaction system. In fact, Paypal, Subway, Microsoft and several leading businesses accept crypto cash currently. Keeping with the spirit, Agriya has integrated coin payment system into their crowdfunding scripts. This helps businesses to provide their users a smart, and secure mode of the cash transaction. Why Do We Project Coin Payment as a Better Mode of Transaction? Payment and transactions represent one of the most sensitive features in a software platform. The total user-experience solely relies on this. 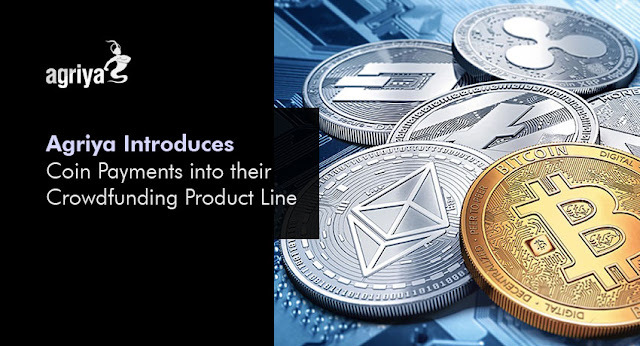 To enhance the experience and to assure security, Agriya has introduced coin payment into their crowdfunding product line. However, there are other factors that influenced the decision as well. Let's have a glance at those components. Unlike other traditional payment methods, the coin payment system doesn't demand any of user’s personal information. All you need is an API key, which can only be accessed by the buyer and seller. Since there is no need for credit details or any other confidential information, the coin system signifies the most secure and safe way to deal with cash transactions. The focal point of crypto transactions is that it is entirely free from third-parties. No intermediary institutions are involved in the transaction and this is why the system is called peer-to-peer. However, since the transaction is completely secure, there is no way someone could interrupt the process. Another major benefit of adopting crypto transactions are, the transaction is completely free of tax. Because there are no third-party organizations to monitor and track the process, sales tax will no longer be a stumbling stone. Fees and transaction fees are normal when it comes to standard wire transfers and foreign transactions. And guess what! These fees are comparatively high always. The coin payment system is totally different and because there are no intermediate parties and government influences, the transaction cost is almost zero. The most alluring factor that makes the coin payment system more admirable is the convenience and flexibility it brings into the process. Users can purchase digital coins regardless of time, location or anything. The only factor they need should be an active network connection. Agriya’s crowdfunding product line incorporates 4 different scripts, which represents varied business models. The novel coin payment system is integrated into all of these software scripts and can be employed by businesses with respect to their desired crowdfunding business model. Anyhow, the aforementioned benefits of crypto transactions are not the end of the list. Many other influencing elements are still involved with coin system.